Chanticleer's attempt to reach broader audiences through online music downloads and adventurous forays into new repertoire are laudable. 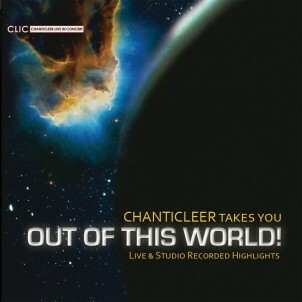 But the release of its first ever music video, featuring the group singing Vincent Peterson's arrangement of indie-pop composer Erika Lloyd's "Cells Planets" is the first time that I have seen Chanticleer, a group which epitomizes choral professionalism, put out anything amateurish. There's nothing wrong with the music per se. Soprano Casey Breves does an angelic job on the song's spiraling, heartfelt solo line. And the rest of the ensemble backs him up with understated warmth. The trouble is that the filming looks thrown together in the mould of an iTunes video. I know this was a deliberate move on the ensemble's part. Perhaps they think this makes them seem more approachable. But it's not cute. It just makes the singers look bad. Plus the concept -- which involves Chanticleer members traveling around the country while trying to stay in touch with loved ones back home -- is pretty trite and unimaginative. Come on, boys. Apply the same level of perfection you bring to singing to everything you do. Go ahead and hire a real movie director next time you want to make a film. It'll be worth it, I assure you.